The only way to describe last weekend’s Epic Fest is captivating. The local hip hop event is an incredible four-day event which splotlights the talent of seasoned artists in the region as well as up and comers every year at various venues around town. 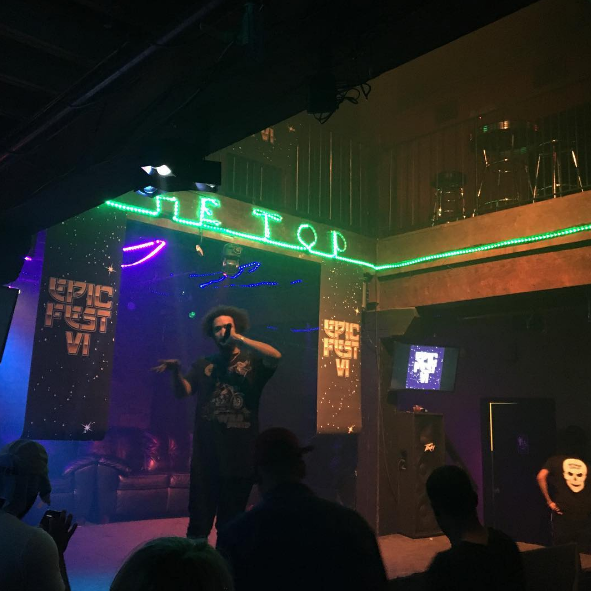 This year’s festival brought killer performances from over 40 acts from hip hop artists around Virginia and local artists such as Dr. Millionaire, Chance Fischer, and Tim Porter to Strange Matter, The TopRVA, and Gallery5. When I walked into Strange Matter Friday night, there was nothing but good energy and positive vibes. Looking around the crowd, everyone was dancing and enjoying the music with drinks in their hand and as, the show returned from intermission, Epic Fest founders Cain McCoy and Octavion X grabbed the mic and introduced RVA rapper Tuch to the stage. With high-level energy surrounding the building, the crowd was amped up for Tuch. The artist, who recently released his debut project, All Hail Tuch, arrived on stage with a nonchalant presence, but that quickly changed. With the bass booming and the crowd beginning to get hyped up, Tuch’s approach and demeanor changed. Shortly into the set, the crowd’s energy begins to match the stage energy. Tuch, now with all his friends on stage, performed his big hit, “Numbers,” the lead single prior to dropping his debut project. So much energy exuded from the artists on stage, and yet the crowd never faltered or slowed down. Tuch continued to maintain and hold the crowd’s interest in the next song he performed “Guap,” which had just as much liveliness as the previous song. The artist commanded the stage through his involvement and interaction with the crowd. As the event came to a close, McCoy gracefully returned to the stage and reminded the audience to continue to have fun, purchase merchandise, and support the 40 artists that made the lineup this year. Saturday was poised to be the main event of the week. Hip hop artist Ethereal from Atlanta-based Awful Records made a guest appearance on Saturday’s event at The Top. When I walked into the venue, local rap artist Dr. Millionaire had just stepped onto the stage to begin his set. With such a casual persona on stage, Dr. Millionaire captured the crowd with his bass-slapping songs and flows to keep them engaged and rocking back and forth throughout his set. The artist definitely had a good sense of crowd awareness and as he went through his set he performed “More Songs than Pac,” which ignited the venue. While Dr. Millionaire was performing, I spoke with Abel Girma, head of MoBoomBox, a sponsor for Epic Fest on his thoughts about the event. “These are the Richmond artist I came to watch and notice, plus I like this sound,” said Girma. Once Dr. Millionaire’s set came to close I made my way around the crowd just to get a feel for the energy. As I expected, a lot of the people were enjoying themselves. Other than supporters and fans, the venue was filled with a lot of photographers, musicians, and other artists. The venue felt like one big melting pot for creativity. As the night continued, there weren’t any signs of things slowing down. Towards the end of my journey at this year’s Epic Fest, one of the last few artists, Era Hardaway, caught my attention. From the beginning of his set, Hardaway led with energy, charisma, and stage presence. With the help of the crowd, his song “On the Low” elevated the venue into a new atmosphere of energy. After Hardaway’s performance, I got the chance to briefly talk to him about his set and what he thought of the show. While discussing Hardaway you cannot forget his teammate. IPM’s owns, Doeski, who also took the stage Saturday night. Doeski comes off as a live wire or spark plug within his team. Doeski’s performance was definitely one for the books at Epic Fest. There are multiple reasons I enjoyed his set, but the level of excitement he put out for his show is why he’s going to be a good artist to lookout for in the future. Once the night started to fizzle down, I found myself standing outside of the venue with so much excitement still running through my body. The feeling was reminiscent to being a kid again, and beating my favorite game. You’re glad you won, but you’re left wanting more. 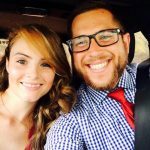 After the show on Saturday I caught up with McCoy to see how he felt about Epic Fest. McCoy stressed the importance of supporting the local art scene and underground artists like the ones that are showcased at Epic Fest. I couldn’t agree with him more. Epic Fest is something great that highlights the diverse and special talent our city and region has to offer. As a whole, everyone that I witnessed from the artists to the fans, enjoyed themselves. Every year, Epic Fest grows and becomes better, so if you missed it this year, make sure not to miss out on next year’s events.